Ahoy Mateys! 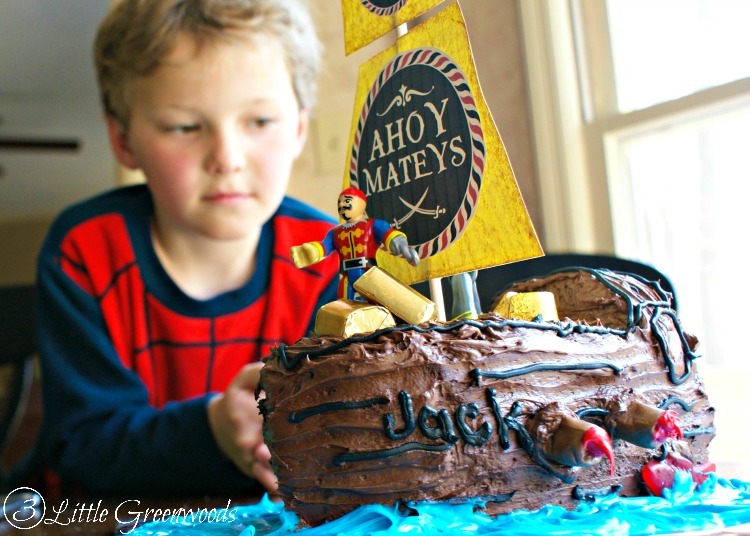 If your little guy is begging for a pirate birthday party, I have got a fabulous tutorial telling you exactly how to make a pirate ship birthday cake! 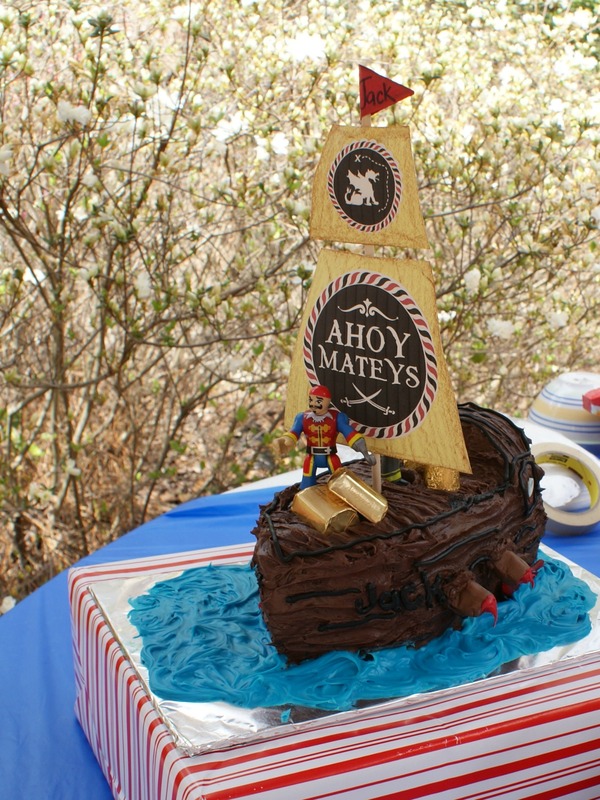 Our Little Boy requested a pirate party for his birthday this spring. Whatever happened to Thomas the Tank Engine? Let’s start with the pirate ship birthday cake. It looks pretty stinking good and was very easy to make. Most importantly our son loved it! This post contains affiliate links. Click here for my complete full disclosure policy. Begin with a boxed cake mix baked into two loaf pans. Follow package instructions when baking. 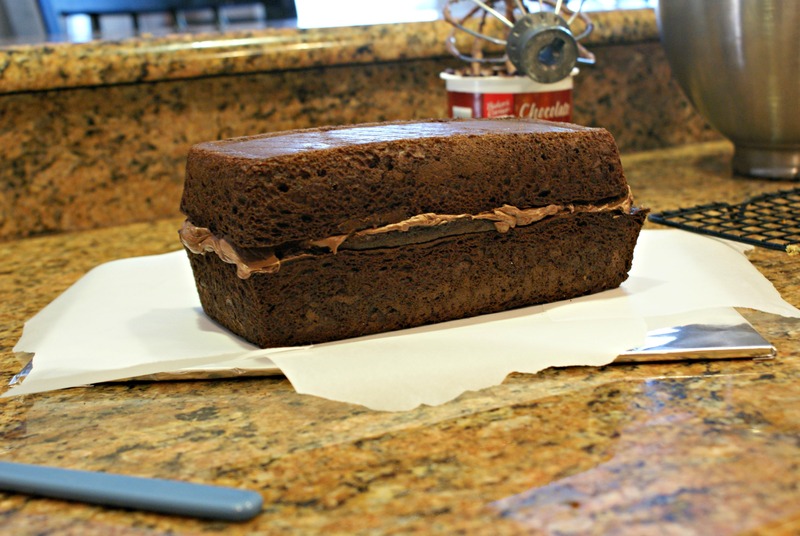 After baking allow each cake to cool. I love using this nonstick cooling rack* for making sure that all of my cakes are completely cooled before decorating. Next trim the rounded tops off each loaf then stack them on top of each other as shown. I know it might be hard but don’t eat the tops you just cut off! You are going to need these pieces in a few minutes. Stack the two cake layers cut sides together. Don’t forget a layer of chocolate icing between each. 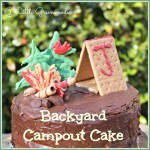 Cut a small “cabin” piece from the rounded top added to the back of the cake. Use a serrated knife to cut small triangular pieces from the front of the ship. This will really help with the “appearance” of the pirate ship cake. 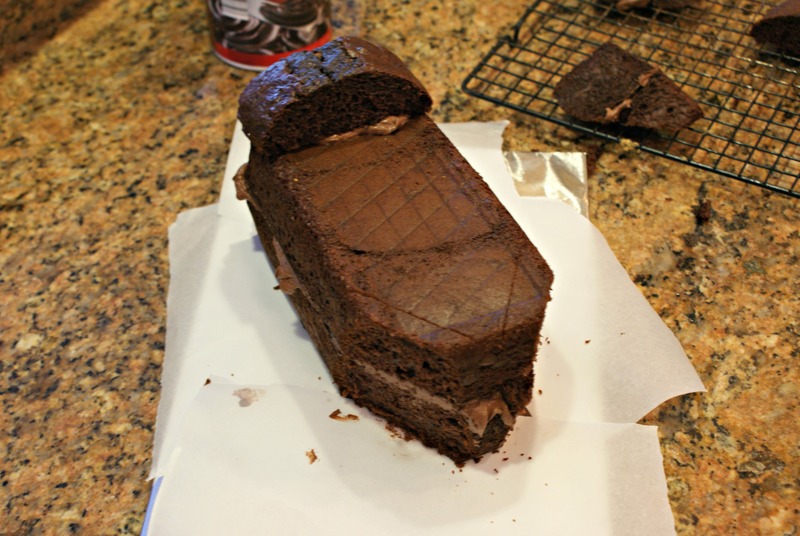 Use chocolate icing to ice the entire pirate ship cake. I carefully ran a small spoon along the surface of the cake to give the illusion of a wooden ship. 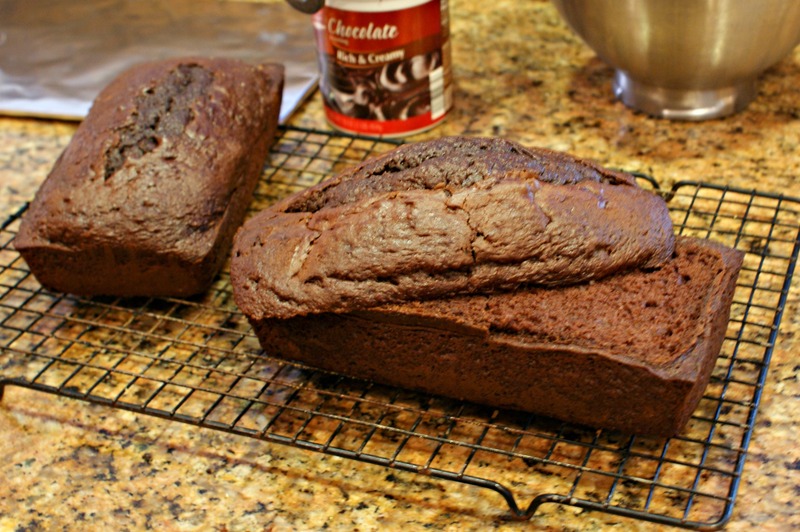 Add more details with the black icing. Tootsie rolls cut in half and glued to the sides with extra chocolate icing were the cannons. 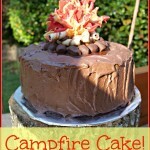 Check out the fire blasting out of the cannons (red icing)! How to make a pirate ship cake appear to be floating in water is easy! Simply create an ocean with blue icing. 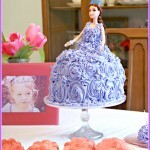 I mixed white icing and blue food coloring together until I had “ocean” blue. Golden wrapped chocolates are the treasure. Little Boy added the pirate man! A pirate ship birthday cake must have treasure! We placed golden wrapped chocolates on the cake along with plastic pirate figures *. The ship’s mast and sails were made from a large wooden skewer, construction paper, and Pirate printables found at Printabelle. We had such a wonderful time celebrating our little guy’s birthday with a pirate birthday party! 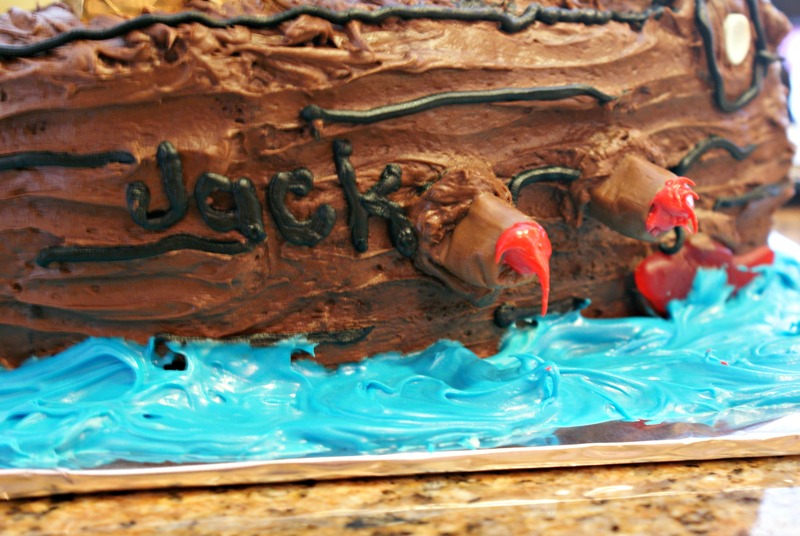 I hope you have been inspired with this simple tutorial for how to make a pirate ship cake! 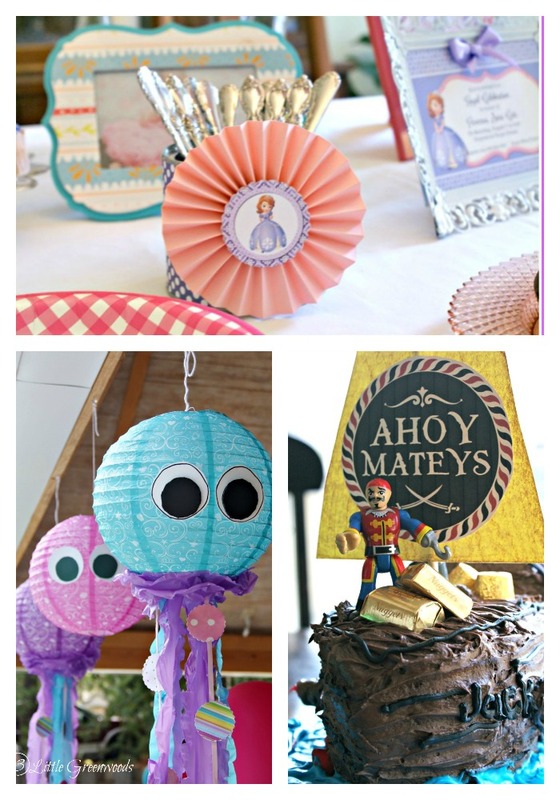 Looking for more birthday party inspiration? 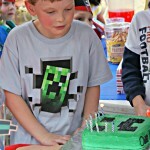 Click here to see all of our budget friendly Party Planning Tips and Tricks! 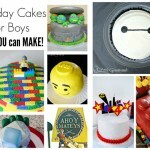 DIY Birthday Cakes for Boys ~ That YOU can make! 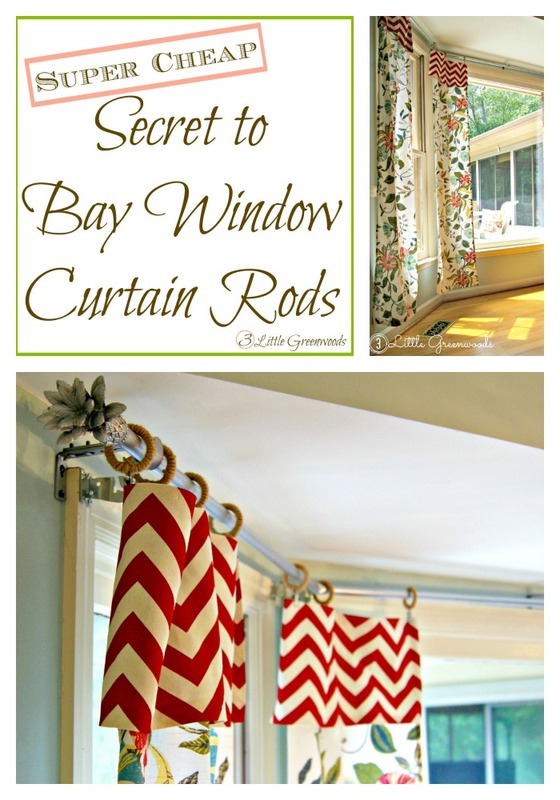 I would love for you to link back to me! 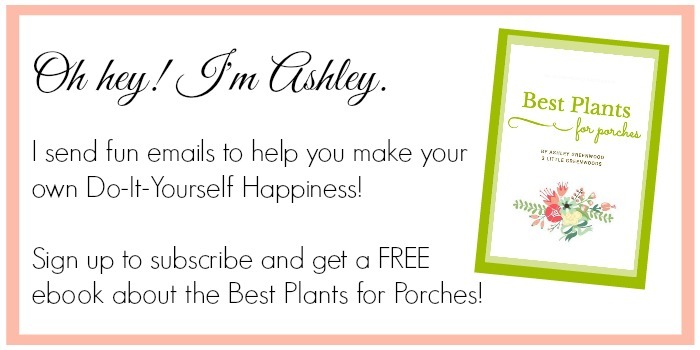 Your printables rock! I can’t wait to plan my next party using another one of your sets. 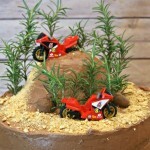 Just made this for my little boy’s 5th birthday party – it looked FABULOUS! Thank you so much for the idea of using two loaf tin cakes stuck together and the design with the blue sea. I used my own choc cake recipe and buttercream icing. No tootsie rolls here in UK so I used chocolate fingers for the cannons. I also decorated the sails by copying a video tutorial on how to draw a skull and crossbones. Hurrah for vlogs and blogs! Oh and extra genius feature suggested by my husband – plastic palm trees from the dinosaur playset stuck in the blue icing so looked like there was a desert island in the sea, as well as a toy fish. Son and friends loved it! YAY! 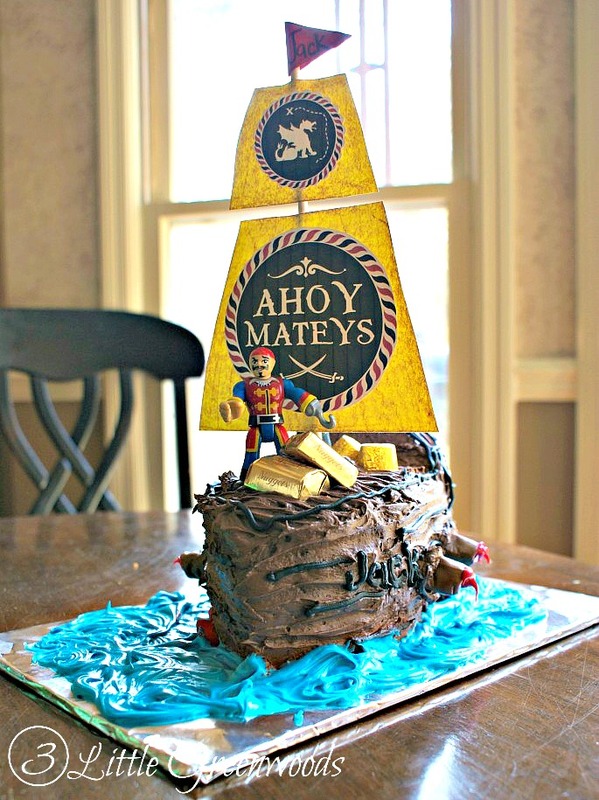 So happy you were able to make your little boy and friends happy with this pirate ship birthday cake idea!